Insomnia can not only affect an individual by giving rise to comorbidities such as diabetes, depression, and hypertension and cardio vascular anomalies but also has greater implications by causing workplace and vehicular accidents. Insomnia, Pharmacological Treatment, Sleep Aids, Cognitive Behavioural Therapy, Hypnotherapy, Sage Therapeutics, NASDAQ, SAGE, GABA, NMDA, Postpartum Depression, Minerva Neurosciences, NERV, Clinical-Stage, Biopharmaceutical, Schizophrenia, Insomnia, Mood Disorders, Major Depressive Disorder, Parkinson’s disease, Seltorexant, Janssen Pharmaceutical, Inc, Schizophrenia, CURE Pharmaceutical Holding Corp, OTCQB, CURR, CUREfilm ORAL, EISAI Co Ltd, OTCPK, ESALF, Sunovion Pharmaceuticals Inc. The Global Market for Insomnia is estimated to reach $5,488 million by 2023 from $4,093 million in 2016 at a CAGR of 4.2% according to a report titled “Insomnia Market by Therapy Type [Non-pharmacological Therapy (Hypnotherapy, Cognitive Behavioral Therapy, Medical Devices, and Other Non-pharmacological Therapy) and Pharmacological Therapy (Prescription Sleep Aids and Over-The-Counter Sleep Aids)] – Global Opportunity Analysis and Industry Forecast, 2017-2023” by alliedmarketresearch. A study conducted by researchers at the Perelman School of Medicine, estimates that 25 percent of Americans suffer from acute insomnia each year, but 75 percent of these individuals do not develop chronic insomnia. 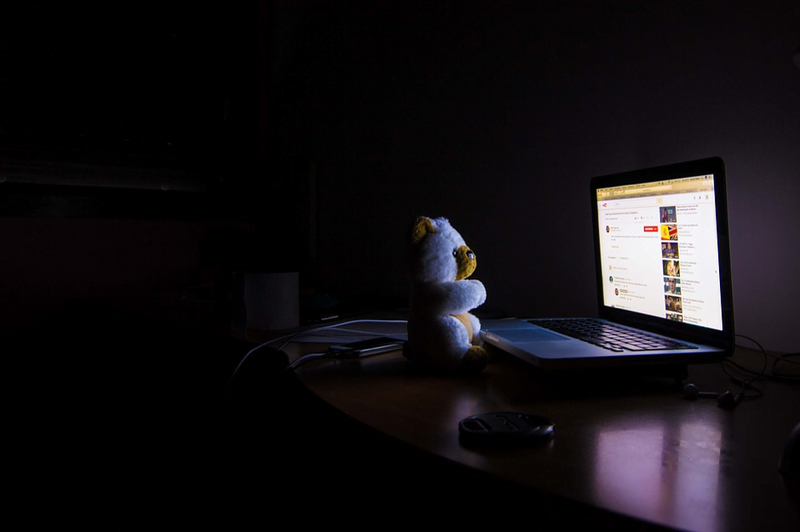 The number of Americans battling insomnia is estimated to be 60 million; the economy pays about $63 billion in lost productivity owing to this disorder. The market of insomnia is categorised into pharmacological treatment like sleep aids and therapies such as Cognitive Behavioural Therapy, Hypnotherapy, etc. The U.S market for insomnia is expected to grow to $4 Billion by 2021 owing to factors such as rise in obesity, substance abuse, increased screen addiction, higher stress levels and increasing geriatric population. The market is facing challenges such as expiration of patents, influx of low-cost generics and far-reaching side-effects. However, companies are unravelling newer technologies and improved therapeutics to tackle Insomnia. Listed below are companies that are using inventive mechanisms to overcome the limitations of existing therapy and providing impetus to growth in the market. Sage, a clinical-stage biopharmaceutical company, has a people-centric approach to drug development and aims to make a meaningful impact by transforming the treatment for Central Nervous System (CNS) disorders. The company focuses on the two most critical neurotransmitter systems namely GABA and NMDA receptors. 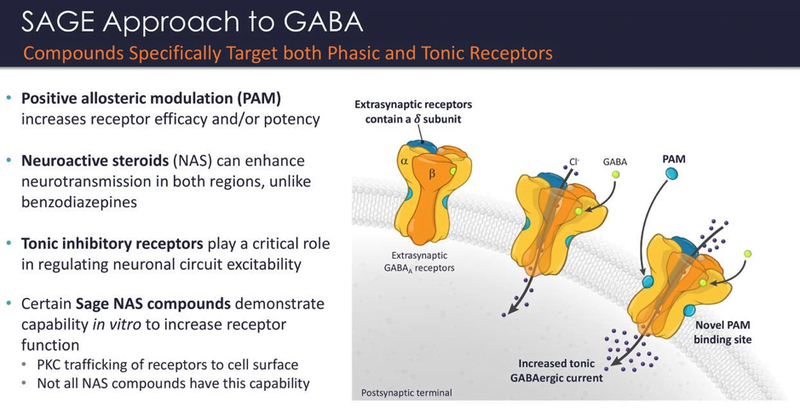 GABA, an inhibitory signalling pathway of the brain and NMDA a major excitatory pathway regulate how CNS functions. The company’s research efforts seek to correct the dysfunction in the brains natural signalling system by re-establishing balance. Sage is developing a GABA receptor named SAGE-217 for treatment of insomnia. The drug candidate can be used for multiple indications like major depressive disorder and postpartum depression. Currently, the company is holding Phase 2 clinical trials for the same. The company had cash, cash equivalents, and marketable securities worth $1.0 billion as on September 30, 2018, compared with $518.8 million as on December 31, 2017. 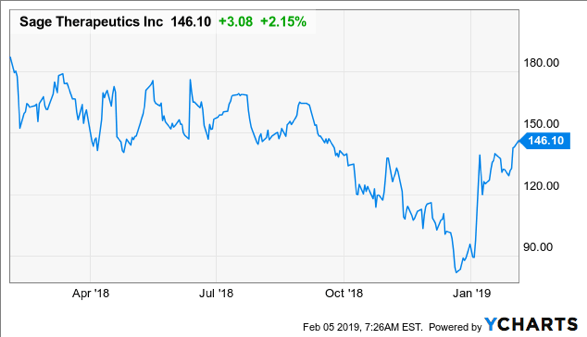 The company reported net proceeds of $631.2 million from its follow-on public offering completed in February 2018. 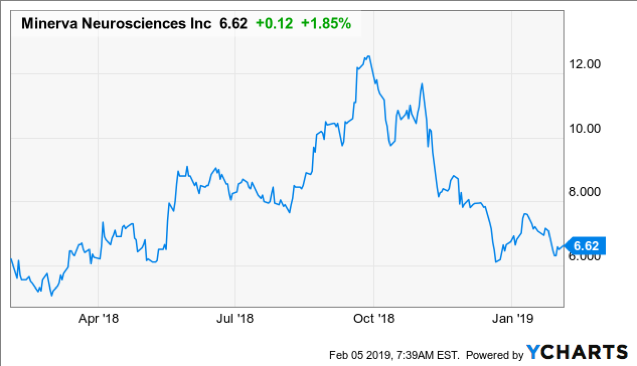 The company has received positive results for its Phase 3 clinical trials of SAGE-217 30 mg on depressive symptoms in women with postpartum depression (PPD), a shot in the arm for the company. 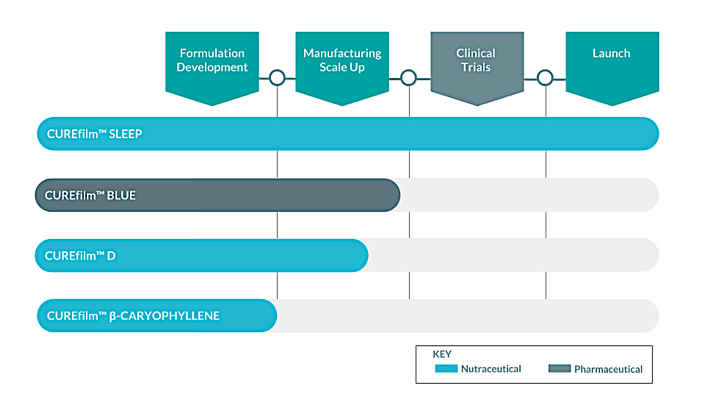 A clinical-stage company that is developing an array of products for treating CNS disorders, this biopharmaceutical company aims to deliver innovative solutions by harnessing the potential of serotonin receptors to combat disorders such as schizophrenia, insomnia, mood disorders, major depressive disorder and parkinson’s disease. 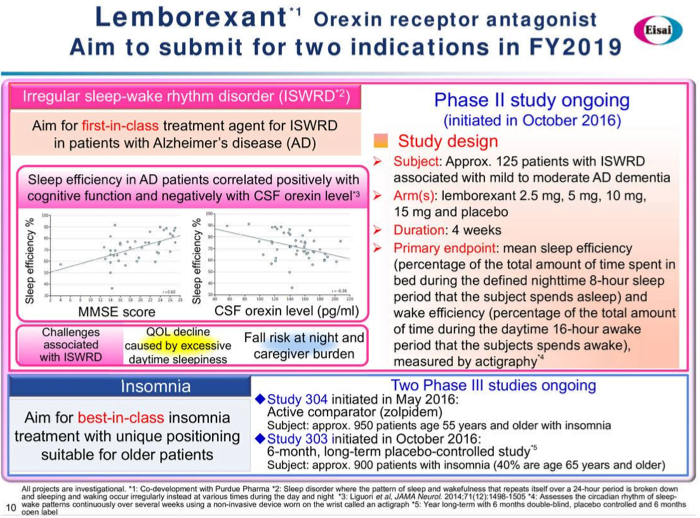 The company’s drug candidate for insomnia, Seltorexant (MIN-202) is an orexin 2 receptor antagonist that regulates the sleep-wake cycle. The company has a licensing and co-development agreement with Janssen Pharmaceutical, Inc, a subsidiary of Johnson & Johnson Company, for developing Seltorexant. The drug seeks to overcome the limitations of existing medications by delivering improved performance on parameters such as faster action, prolonged effect, minimal side effects and reduced cognitive impairment. 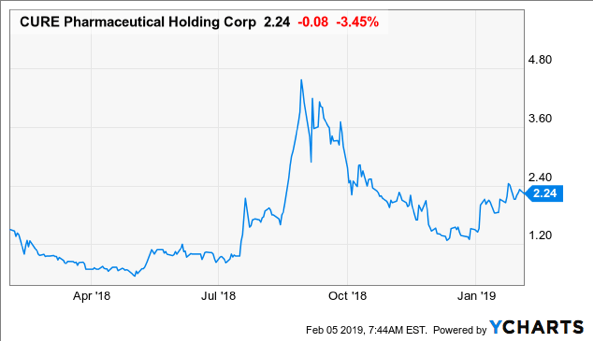 In addition, the company has ongoing clinical trials in areas such as schizophrenia (Roluperidone: Phase 3), Major Depressive Disorder (MIN-117: Phase 2b) and Seltorexant MIN-202 (major depressive disorder – adjunctive therapy), the results of which are expected in 2019. 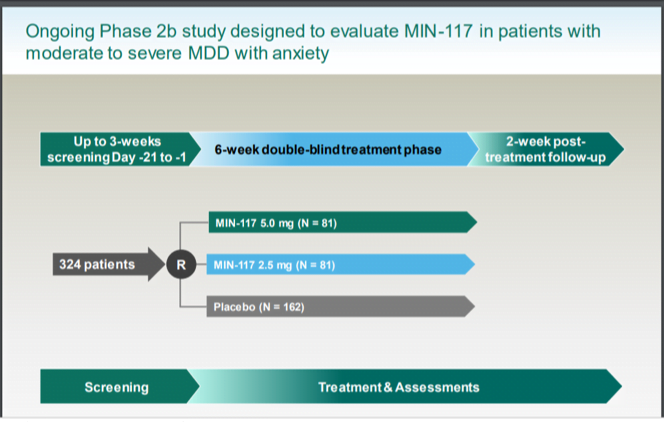 Minerva also has licensing agreement with Mitsubishi Tanabe for MIN-101 (Roluperidone for schizophrenia) and MIN-117 (Major Depressive Disorder). As per the company’s financial results, the company had $97.7 million cash balance as on Sept 30, 2018, compared to $133.3 million as on December 31, 2017. The company offers novel drug delivery solutions for a broad range of molecules by improving their solubility and bioavailability. 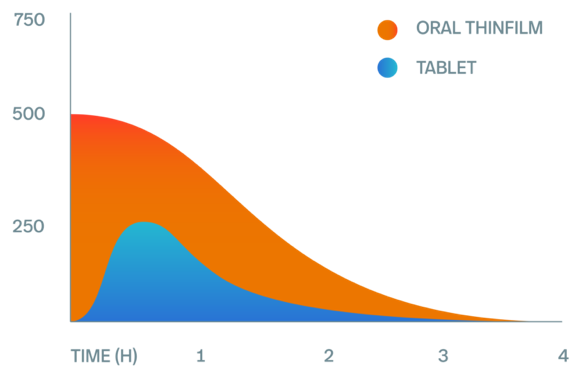 Its goal is to make medicines easier to use with minimal side-effects thereby improving patient adherence. Cure’s proprietary technology improves the pharmacokinetics of drugs and results in precise dosing and ease of administration. Cure’s nanoencapsulation method allows drugs to be delivered by bypassing the GI tract thereby overcoming side-effects, and inactivation in the gut and liver. The company produces CUREfilm ORAL that can be applied through buccal mucosa, sublingual and orally. The company manufactures CUREfilm Sleep with five active ingredients such as Melatonin, Beta-Caryophyllene, Gamma-aminobutyric Acid (GABA), Vitamin B6 and L-Theanine to be used as a daily dietary supplement sleep aid. CURE is targeting a major share of the Melatonin supplement market that is projected to reach USD 1.5 billion by 2021. In the pipeline are CUREfilm Blue (Sildenafil), CUREfilm D (Vitamin D3) and CUREfilm β-Caryophyllene (anti-inflammatory and analgesic properties) in various stages of development. It also has a subsidiary named OAK Therapeutics that focuses on making medicines available to children and women during pregnancy. The company’s operations revolve around its adherence to the philosophy of human health care (hhc). The company uses the innovative SECI model (Socialization, Externalization, Combination, and Internalization) to create new knowledge. Eisai has submitted a new drug application to the FDA for lemborexant, an investigational drug that the company is jointly developing with Purdue Pharmaceuticals for the treatment of insomnia. The small molecule compound was discovered by EISAI in-house scientists. 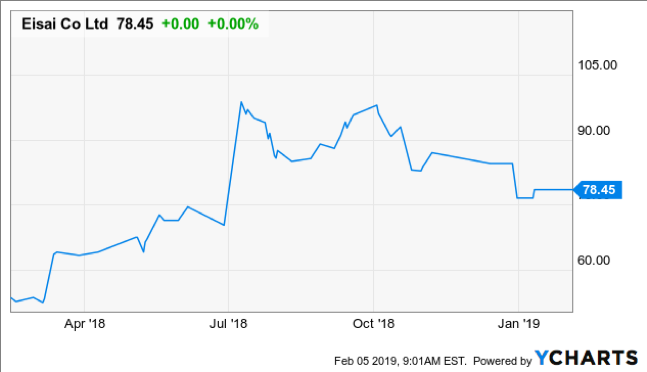 The company has entered into an agreement with Purdue for the development and commercialization of the dual orexin receptor antagonist in return for an upfront as well as milestone payment that Eisai will receive in the future. The application follows on the lines of positive clinical studies that demonstrated the drug’s efficacy on critical parameters such as safety, postural stability and no significant next-day driving impairment. The molecule inhibits orexin signalling without affecting the ability to respond to external stimuli, thereby regulating sleep-wake cycle in individuals whose oxerin signalling may not be functioning properly. Eisai also has a licensing agreement with Sunovion Pharmaceuticals Inc. (previously known as Sepracor Inc. and currently a U.S. subsidiary of Dainippon Sumitomo Pharma Co., Ltd.) for development and marketing of Eszopiclone (Brand Name Lunesta®) a non-benzodiazepine type allosteric GABA agonist, in Japan. Additionally the company also has the manufacturing and marketing rights to active pharmaceutical ingredients (API) and intellectual rights for the insomnia treatment/anaesthesia induction agent flunitrazepam (Eisai product name: Silece®, Chugai product name: Rohypnol®) from Chugai and Roche. Biopharmaceutical, Clinical-Stage, Cognitive Behavioural Therapy, CURE Pharmaceutical Holding Corp, CUREfilm ORAL, CURR, EISAI Co Ltd, ESALF, GABA, Hypnotherapy, Inc, Insomnia, Janssen Pharmaceutical, Major Depressive Disorder, Minerva Neurosciences, Mood Disorders, NASDAQ, NERV, NMDA, OTCPK, OTCQB, Parkinson’s disease, Pharmacological Treatment, Postpartum Depression, SAGE, Sage Therapeutics, Schizophrenia, Seltorexant, Sleep Aids, Sunovion Pharmaceuticals Inc.
After my Parkinsons Disease diagnosis, my neurologist was very open when looking at alternative medicines and procedures, with his guidance i started on natural PARKINSONS DISEASE TREATMENT from Rich Herbs Foundation. The treatment worked very effectively for my Parkinson’s, most of my severe symptoms simply vanished within the first 3 months on the treatment, i feel better now than I have felt in years and i can feel my strength again.